Once again I faced the dilemma of 'How to Pose' and as you can see I just decided to go ahead and do EVERY pose I could think of! Hopefully, though, you get an idea of how clear and glowing my skin looked (for once!) - although I appreciate that nafff Photobooth photos are not the best it was all I had at Uni with me! 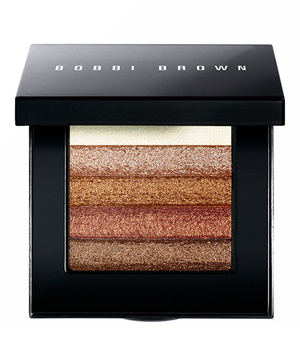 -As well as using the Shimmer Brick on my cheekbones as a highlight I also used it for my eyes. I used the 2nd and 3rd shades from the top all over my lid and the bottom shade on the crease and underneath my eyes. I used the white in the inner corner of my eye and as a highlight for my browbone - Multitasking eh! Then I used Rimmel liquid eye liner on the top lid.